You are here : Home \\ Blog || Short Sale Articles \\ Can I still do a Short Sale if a Notice of Default (NOD) has been filed on my home? 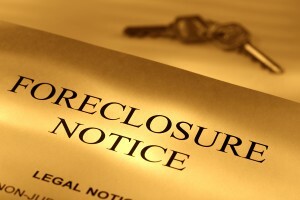 Can I still do a Short Sale if a Notice of Default (NOD) has been filed on my home? There are some homeowners who foresee a financial hardship and plan ahead of time for a short sale, but the majority of people do not take action until the bank starts sending notices that tell you they mean business. These notices are usually in the form of a Notice of Default, or NOD. Missing one payment essentially means you are in default on the terms of your repayment, although banks usually wait until a few months in, or longer, before issuing the NOD and filing it with the County. If you have received a NOD, there is usually plenty of time to do a short sale, but you must act quickly! Once the NOD is filed, the timeclock for the foreclosure begins to speed up, so at this point you must make a decision to move forward and contact us for a consultation. Some homeowners may receive a NOD after being delinquent only a few months, and some receive it after a couple years of missed payments, but in either case the bank can issue a Notice of Trustee Sale after 91 days of filing the NOD. And the Trustee Sale Date itself usually falls 21 days after the Notice of Trustee Sale has been issued. Sound confusing? It’s really not, the thing you have to remember is the sooner we get your home on the market and get an offer, the more time the bank has to review the offer, and the more opportunity it gives us to ask the bank for a postponement of a scheduled sale date (if needed). In most cases when an offer to purchase has been obtained, the investor of the loan will approve postponing the sale date, but of course each postponement approval is on an individual basis and up to the investor of the loan. So the bottom line is, if you have received a Notice of Default (NOD), call us and let’s discuss your options. We will explain the process, answer your questions, and move forward as quickly as possible to make your short sale a success! Previous post: New Listing, upgraded townhome-style condo in Valley Crest, Concord! Navigation: Weblog / Blog article: Can I still do a Short Sale if a Notice of Default (NOD) has been filed on my home?